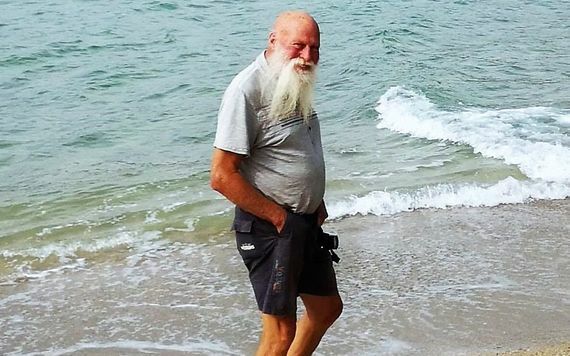 A lengthy article on the IrishCentral website titled “The American hermit who 50 years ago fled the US for a remote Irish location,” about 78-year old Dan Hummel, who left the United States to become a hermit in West Cork, Ireland, facing the Atlantic Ocean. Hummel is a Vietnam War veteran, who no longer wanted to live in his native country given the politics of the late 1960s. Though a Navy veteran reaching the rank of lieutenant, Hummel opposed the foreign policy and general materialistic culture of the United States. He lived in China and Japan, and eventually ended his travels in Ireland. The Catholic website Aleteia includes a piece titled “The Last Hermit of Ireland,” about David Jones, priest and hermit. The essayist converses with the hermit following a typical day’s schedule; includes many photographs. The Cloud of Unknowing is a nineteen minute documentary on a modern day hermit who dedicated his life to the mystical tradition of contemplative prayer. Rodney Thompson, a Cork man, spent almost thirty years in an isolated cottage in Connemara in pursuit of solitude, silence and prayer. Without electricity or running water, Mr Thompson lived simply, prayed ceaselessly and welcomed visitors to his hermitage close to Roundstone, Galway. 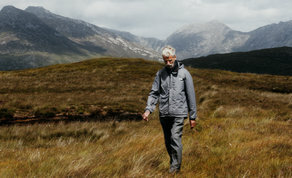 Filled with majestic vistas and robust Connemara weather, the film allows the viewer to step into the mind of a hermit, as the natural world unfolds at an unhurried pace. The Irish Sun profiles “English-accented” hermit Peter O’Neill, who died recently at 71. O’Neill lived alone in the Wicklow mountains in a hut, and maintained a large number of books, journals, and writings. The local priest came to his acquaintance and enjoyed O’Neill wide range of knowledge. An article in the Westmeath Examiner (Ireland) announces that Sister Veronica Moore of the Sisters of Mercy, until recently a nurse in Zambia, received canonical status as a hermit. She is the fourth canonical hermit in the diocese in the recent year. Here is the web site of an anchoress in an “isolated hermitage atop a remote Irish mountain.” Includes prayers, reflections and wonderful photographs. URL: http://www.iol.ie/~anchorhold/. Brought to our attention in a communication from the anchoress.